An amazing Marimekko top from the early 90s that survived in flawless condition. 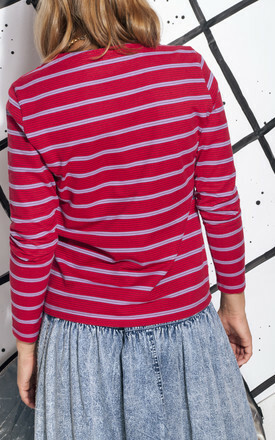 It's a long-sleeved beaut made of red and purple striped cotton fabric. 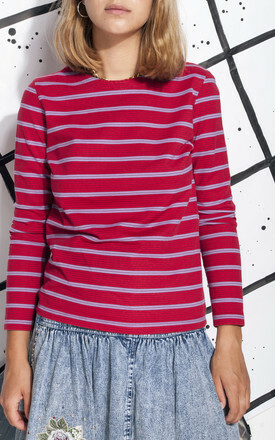 Grab this ultimately cool piece, it's gonna be the fav piece of your autumn wardrobe. shoulder: 37 cm / 1' 2"